Posters advertising meetings and social gatherings of LGBT CERN has had the German word for pig – ‘schwein’ – written across them, while others have been torn off the walls or had bible quotations attached to them. One CERN researcher has been disciplined over the homophobic abuse after being caught on CCTV while defacing posters, but it is not believed to be isolated to one person, LGBT CERN said. The European Organization for Nuclear Research, known as CERN, has more than 2,500 members of staff and is hosting several thousand fellows, associates, apprentices as well as visiting scientists and engineers at any one time at its laboratory in Geneva, Switzerland. It is the largest particle physics laboratory in the world, and is particularly well known for its work on The Large Hadron Collider, which lies in a tunnel underneath it and was used to prove the existence of the Higgs boson particle in 2012. 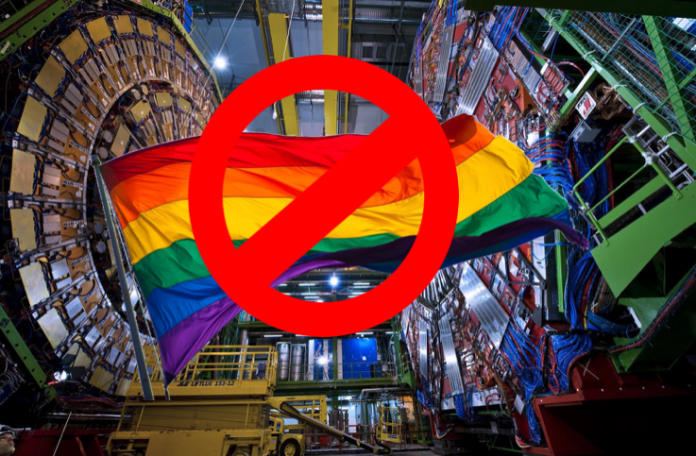 The LGBT CERN group was founded in 2010, and members told the Sunday Times that the abuse systematic destructions of its posters is an ongoing problem. ‘The continued defacing of our posters is an unacceptable campaign of hate and intolerance,’ British physicist and LGBT CERN founder Aidan Randle-Conde told the paper. 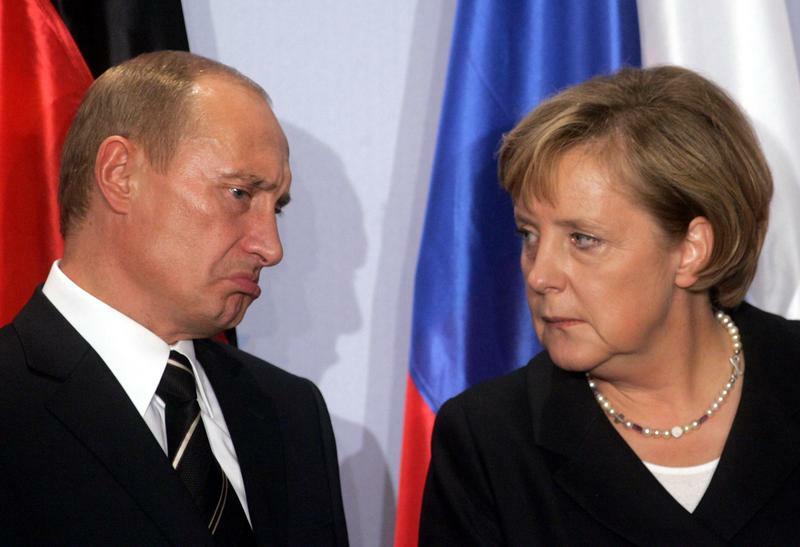 The bible quotations had been taken from the Old Testament book of Leviticus: ‘If a man lies with a male as with a woman… they shall surely be put to death’. 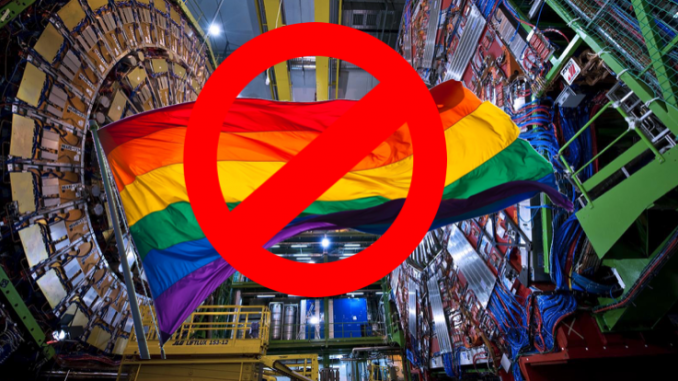 According to the newspaper, homophobia has been an issue at CERN in the past, with at least one person in the LGBT CERN group receiving abusive emails for which disciplinary action was taken. A spokesperson for CERN said: “CERN considers that these acts are unacceptable, and strongly condemned on various occasions. ‘Poster removal is unfortunately a common occurrence, but more serious events, such as the ‘Schwein’ grafitti or threats like the Leviticus posting are thankfully rare. ‘We appreciate that action has been taken against the one person caught removing our poster and are also pleased that we have an open line of communication with the CERN Diversity Office.